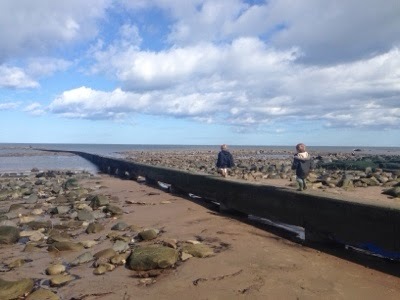 We were asked by nPower to come up with a list of ideas and places to visit in Northumberland this Summer to keep your family entertained without spending a fortune. After a lot of deliberation, I love our final list and will certainly make it our mission to try and tick everything from it this year. Holy Island really has a special magic all of it's own. The island is cut off from the mainland twice per day (check here for crossing and tide times) and being able to explore the beaches, coves and wildlife when you aren't surrounded by other tourists is just wonderful. A lot of Hadrian's Wall is free to access. Why not take your children on their own Roman expedition this Summer and enjoy the views as you walk by the wall and forts. 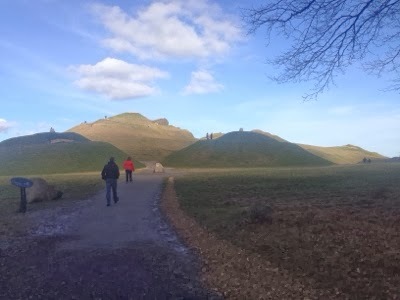 Make sure you stop at the gorgeous Sycamore gap for a picnic too. 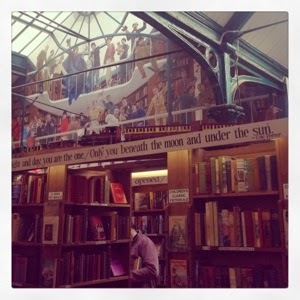 Barter Books in Alnwick is the perfect place to visit on rainy day. One of the largest second hand bookshops in Britain, children can take their old books to the counter and 'barter' them for store credit which they can spend in the lovely children's section. Look out for the model railway above your heads. Chain Bridge Honey Farm is one of Berwick's hidden gems. Take a look around the free visitor centre and learn all about bees and how they make honey. There is even an observation hive where you can watch worker bees in action. Outside you will find a selection of vintage vehicles to explore and a unique double decker bus cafe should you wish to stop for some honey-flavoured cake. Northumberlandia or the 'Lady of the North' is a free-to-visit 45 acre community park with over 4 miles of pathways weaving around a unique giant sculpture of a lady's body. If you climb to the very top you will be rewarded with views of the nearby open mine and spectacular surrounding countryside. Woodhorn Museum is free to visit (although you do need to pay to park) and is a fascinating way to learn about Northumberland's mining heritage - you can walk through a 'mock mine', experience what life was like in the miner's strikes of the 80's and visit original colliery buildings and local exhibitions. There are sometimes free special events too. Check website for details. Northumberland is home to lots of free outdoor sculptures - you just need to go out and find them! Why not take your sketch book and take the time to draw every sculpture you find? The giant spoon of Cramlington and 'the couple' in Newbiggin can start you off. Kielder is home to it's very own minotaur maze which is free to enter. Located next to the Castle Visitor centre and the (also free) Salmon Centre, children will love getting lost and then guiding the adults to safety. You will often have Cresswell beach all to yourself and it is the perfect place to go hunting for crabs. Just look at all those rockpools! We've once found a squid here too. All you need to pack is a bucket, net and suncream and you're good to go. The RNLI Grace Darling museum in Bamburgh tells the heroine's story through portraits, family items, original letters and powerful audio-visual interpretations. It is free to visit and a fantastic way to learn a little bit about Northumberland's history. 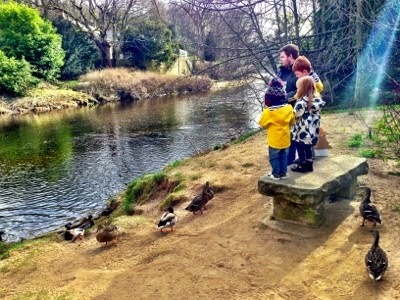 Ridley Park in Blyth is one of our favourites. As well as two separate play parks, lots of space to run around, a cafe and lovely harbour-side setting, the main focal point for families are the array of water fountains that children can play and run through. Pack a picnic and make a day of it. The river Blyth runs right through Plessey woods and as you first enter the woodland there is THE perfect bridge to play pooh sticks. Children love collecting sticks in the wood before racing back to the bridge to put them to the test. 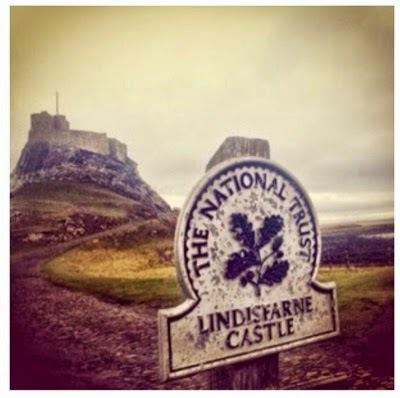 Northumberland actually has more Castle's than any other region in the UK! There are over 70 Castle sites to choose from. 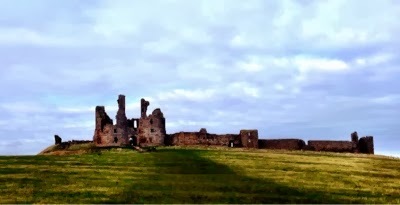 You could start with Cresswell Castle, Kielder Castle and Thirlwell Castle which are all free to visit. Dressing up as a Knight to visit is obviously optional! Druridge Bay Country park is a haven for local wildlife. Take a look in the visitor centre for some inspiration before taking a seat on the picnic tables to design your own nature trail. It could include otters, pink footed geese, oyster catchers and a variety of butterflies. Then set off on the 1.5 mile walk around ladyburn lake and see what you can spot. 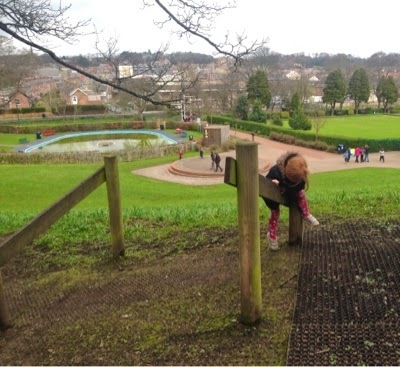 Carlisle Park in Morpeth is home to an outdoor gym or as we like to call it 'park olympics'. Gather some friends together and design an obstacle course around the equipment. Use your imagination and use surrounding hills, fences and steps too. It's even more fun if the grown ups get involved too! The Running Fox bakery in the sleepy village of Felton is a real hidden gem. I defy anyone to find a more satisfying afternoon tea! They bake their own bread on site everyday and anything that is the slightest bit stale goes into a special 'duck bread' bucket next to the counter where children can help themselves and take it outside to feed the very lucky ducks in the river across the road. Hulne Park has been described to me as 'the jewel in Alnwick's crown'. Open to the public from 11am until sunset, the park is often deserted and a fantastic place to spot the elusive red squirrel. The views from the Cheviots to the sea are worth walking the extensive grounds for. Northumberland National Park is one of the best places in our region to explore the great outdoors. Described as a cyclist's paradise, if you are keen cyclists you cannot beat the location for a family bike ride. You can download routes, maps and advice here. Plankey Mill is a quiet spot next to the river Allen in the middle of historic woodland that is an area of outstanding natural beauty. The real draw for children is the 'Indiana Jones' style wobbly bridge which crosses the river and provides hours of fun. The bridge was re-built this year after significant water damage in the floods of 2013. Ingram Valley is a favourite secluded spot for visitors who enjoy walking, picnics or just plodging in the river. You will be spoilt for choice for hills to roll down and it is a wonderful place to visit if your family is in need of some quality screen free time. Lets put it the diary for next Summer! This is such a fab list! I love number 16. Feeding the ducks. I still do this now if I have any left over bread. Holy Island is where I first had an over night trip away from my parents when I was at school. I remember coming home and my sister Emily hugging me saying she didn't want me to leave again! Northumberland is fab isn't it.....A great list!! This is such a fabulous list. We're only an hour or so away, we really should visit Northumberland more! Thank you for this list! Can't wait for the 6 weeks holidays. Going to go to most if not all of these places.